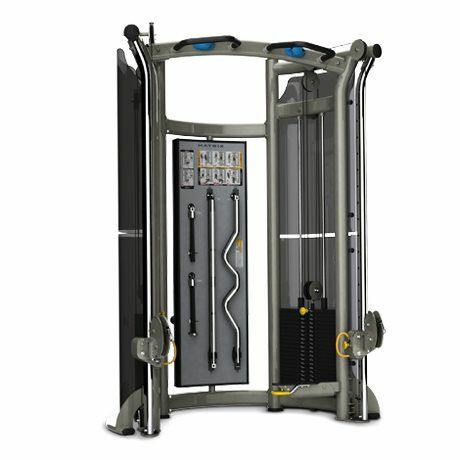 Total Weight Functional Trainer G3-MSFT 300: 1,261 lbs. Self-lubricating Weight Stack Bushings: Solid cold-rolled steel plate, with Teflon inner bushings. 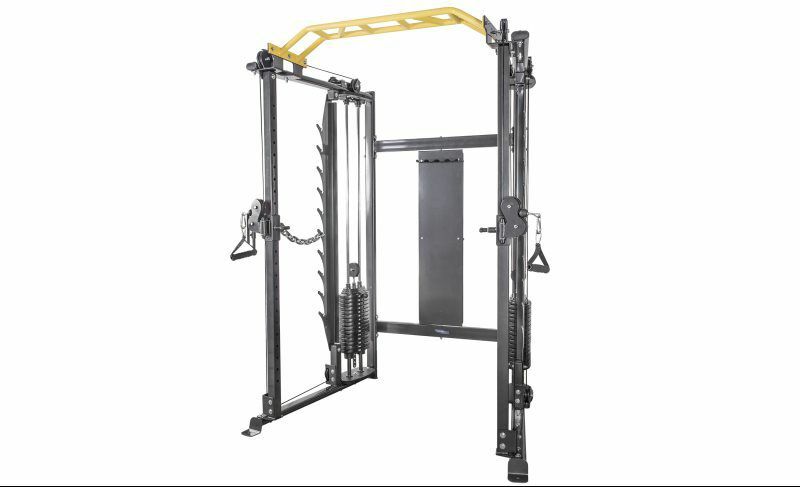 Overall Dimensions Functional Trainer: 169.2 x 130.2 x 234.4 cm / 66.6" x 51.2" x 92.3"
The Northern Lights Commercial Functional Trainer delivers an enhanced functional training experience. It allows you for absolute freedom of movement in any direction while performing weight resistance exercises. Designed to move the way your body naturally moves, the functional trainer incorporates smooth and effective exercises that target the core, upper body, and stabilizing muscles. The Northern Lights Commercial Functional Trainer is an excellent training machine for athletes interested in sport specific exercise movements or for people looking to strengthen their overall bodies, increase stamina and coordination or lose weight. 10 years on manufacturer defects. 1 Year on all wear parts. Functional Trainers allow you to have complete freedom of movement in any direction or plane while performing weight resistance exercises. There's unrestricted exercises are designed to move the way your body naturally moves. 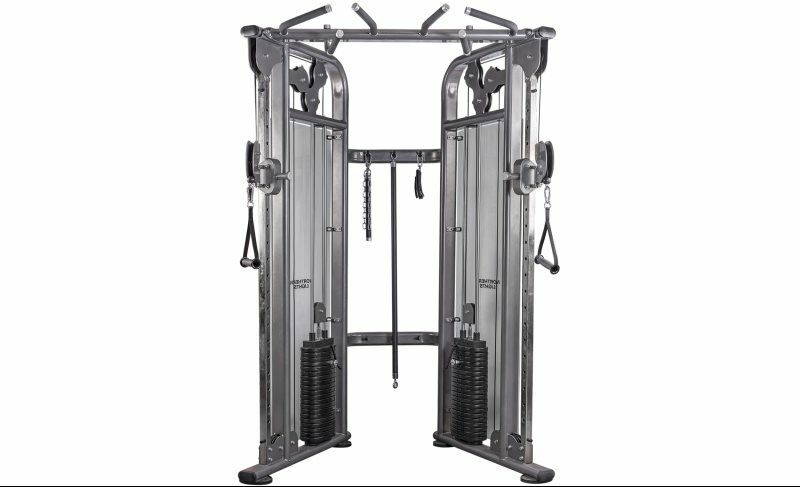 Change the angle, resistance, and attachment for a wide variety of exercises to hit either the upper or lower body; and by incorporating a power rack this piece of equipment does everything. 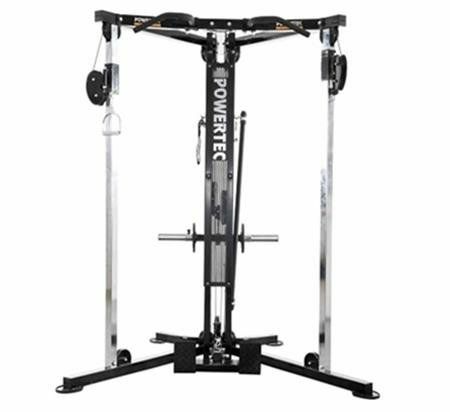 The Northern Lights Functional Trainer with Power Rack is a multifunctional machine useful for a wide range of exercises. 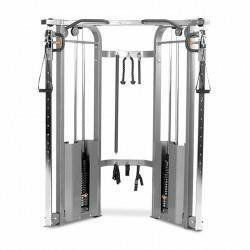 It features a dual adjustable pulley system with individual 150Lb weight stacks, a power rack with safety spotter chains, and pull-up bars to further enhance the multitude of workout options on this excellent machine. This durable piece of equipment with a small foot-print is ideal for any home gym. With 10 bar hook positions from 21" to 66"
Compact at-home system featuring reduced footprint. Adjustable ball bearing reinforced pulleys - 17 positions. Dual independent pulleys for a pure isolateral workout. Optional Utility Bench – More exercises when used with the Workbench Machine Accessories.